We live in the age where quick startups and aggressive competition are becoming the norm. As a result, customer loyalty is increasingly becoming the most critical metric of every business success. Attracting a new customer can be five times more expensive than keeping an existing one, thus, making loyal customers is even more valuable for today’s businesses. 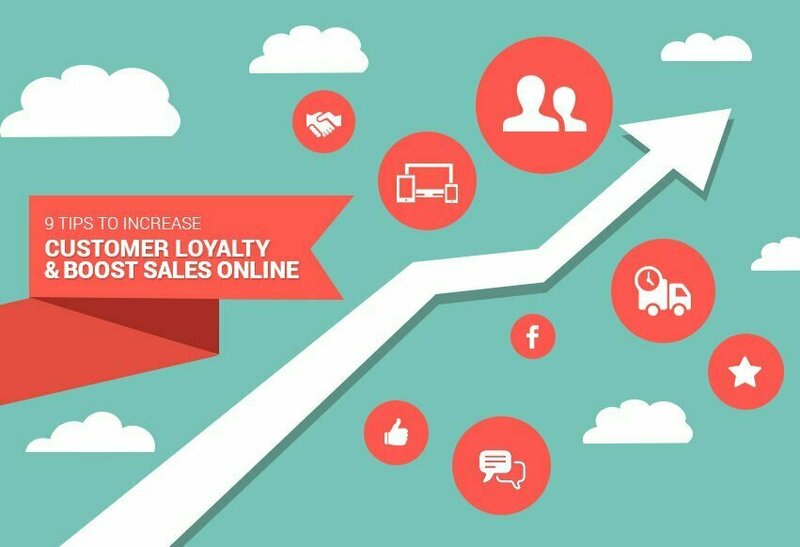 Ensuring customer loyalty has the potential to dramatically increase your online sales, and thereby profit over time. But, cultivating loyalty is a lifelong process and needs conscious efforts to raise your retention rate. Always meet the basic needs of your customer, and when you meet them, take it a notch higher and surprise your customers. It can be achieved by pre-delivering their order, giving them freebies, throwing in some surprise, or sending their order in a beautiful package – the key is to keep continuing in giving more. If you have unintentionally made any error, accepting them gracefully will help you regain the trust of your customers. A simple apology will go a long way in building the confidence of your customers. Showing a genuine desire to improve and provide a continuing great customer service can turn your mistakes into opportunity. If you want loyalty from your customers, it is important you remain loyal to them. Determine your core, die-hard fans and focus your resources to retain them. Always remember, happy customers will never leave your service for your competitors. Show your appreciation by giving them loyalty cards, previews of the new products, and premium services. Keep your customers informed about any deviations, if at all they occur. If, for any reason, any items don’t get delivered when promised, take proactive steps to let your customers know about the problem and your solution for the problem. Your customer will appreciate your responsible approach, and it will make your service more valuable. Keep a continuous check on your services by asking for customer feedbacks. Devise unobtrusive ways to ask for feedbacks (e.g. send a feedback form along with the delivery mail). Contacting your customers also gives you a legitimate chance to offer them any special offers or service, or let them know about any new line of services or products. Embed social media posts from your loyal customers who have shared your service or product on their social profile. Share their story on your blog or social media accounts and let them know how much you value their patronage. For e.g. repost their Instagram image with a creative caption to show your appreciation. This will serve a dual purpose: they will become your most valuable marketing assets and will also be further encouraged to share positive stories about your brand to their followers. No matter how good your products are, or how attractive your discounts are, if you cannot make those items available to your customer, when they need it, all your efforts might prove to be useless in holding up the attention of your customers. Always deliver on your promise, because nothing is worse than a customer’s disappointment in your services. Customers today desire the flexibility and choice of ordering from whatever channel they wish – store, phone, or online shopping. It is important that you maintain all the multi-channels and try to woo your customers with all the available means. In today’s intense competition, it is important to differentiate your services from your competitors and provide incredible value to your customers. Look for creative options to bring more value to your loyal customers and provide something extra over and above your offerings to your normal customers. Always be one step ahead, and offer something more than discounts, features, or services, something that your customers cannot put any value on. Investing in your loyal customers can reap higher rewards for your enterprise. Make sure you use all the available mediums such as digital and social media to strengthen your relationship with your buyers and exceed their expectations. With the right approach, you can turn your one-time buyer into a repeat customer and ultimately your biggest brand ambassador. What strategies do you employ to keep your customers happy? Share with us in the comments section below.